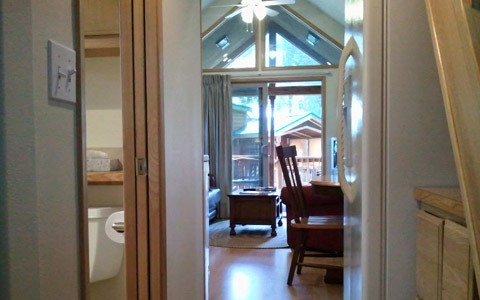 Sleeps 4- $149/night. Queen bed in master. 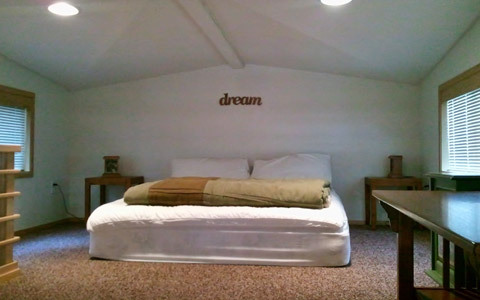 Queen bed in loft. Hot tub. Pet friendly. 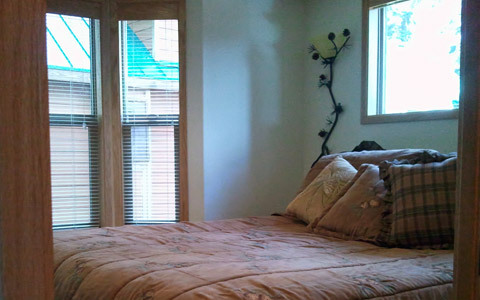 Base rates are based on (2) person occupancy. Add $10.00 per each extra person or pet, non-smoking cabin. One of the park’s two story models with a nicely decorated loft that contains a queen bed. On the first floor we have a queen sized bed, a couch and a loft seat. The kitchen contains a full-sized range, microwave, refrigerator and coffee maker. 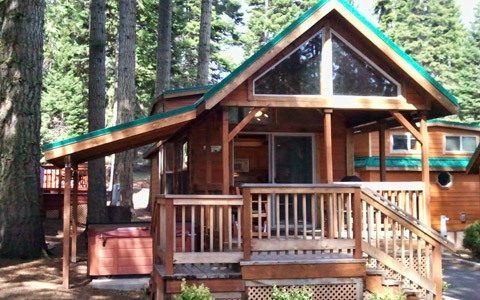 The cabin faces the inside of the park, it has ample parking and is near the restaurant, the hot tub is right off the front porch but nestled behind the front porch for privacy. The deck has a beautiful lakeview with comfortable outside seating. Guests will find pots and pans for cooking and a barbecue. 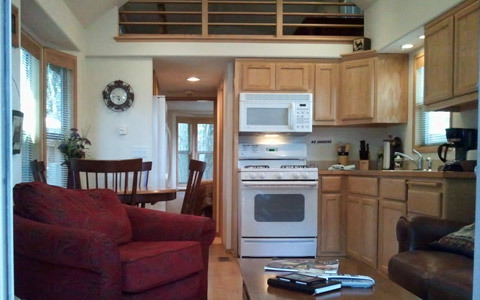 A Newer cabin with a large living room and an open dining, kitchen floor plan. Relax in a private hot tub.